I get this question all the time, so I decided to fill you in and then you will know what to expect. Now, you pro's will already know this one, so feel free to add your $0.02. A cruise-in is a more laid back type of event where you just drive your ride in and park, there is no fee to park and show your ride, there are no trophies given, and it is typically held on a Friday night or Saturday afternoon/night. These cruise-in events are sometimes called “Show & Shine” because that’s all you do-shine your ride up and show it off. There is sometimes music and door prizes but it’s just a little more easy going that a full blown car show. Typically the cruise-in will only have 25-50 cars/trucks where everybody just wants to stroll around and see the vehicles and chat for a while. Most of the time a cruise-in is held near or in the parking lot of a restaurant or business, that way the women can shop or the family can eat while they are there enjoying the rides. Cruise-in’s typically only last 3-4 hours. Car shows are typically a lot larger in size and offer more for the serious car guy or gal. The major differences are that there is usually a cost or entry fee to show your car and they usually judge the cars/trucks in some type of classes and give a few trophies at most shows. 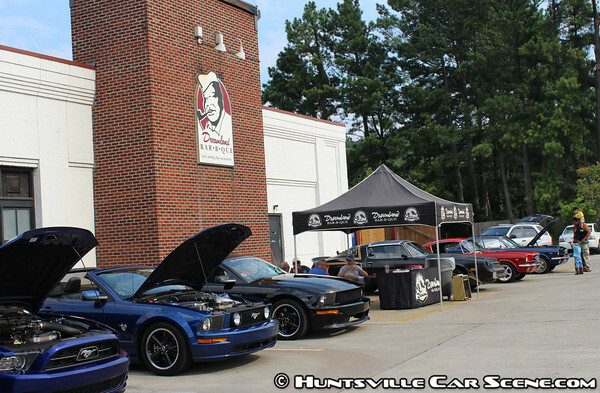 A car show will also typically have vendors selling food/collectibles/parts/etc to help draw in a larger crowd. Most of the time a car show will attract more folks who just come by to see and admire the vehicles, as where a cruise-in is mostly just the folks who bring their rides. At a typical car show, participants will arrive early to get their car/truck registered and then begin an hour (or longer) process of detailing their ride. They will setup their chairs to relax in later in the day, but upon arrival they spend a good bit of time putting the final touches on the car/truck to make sure it’s ready for the judging. 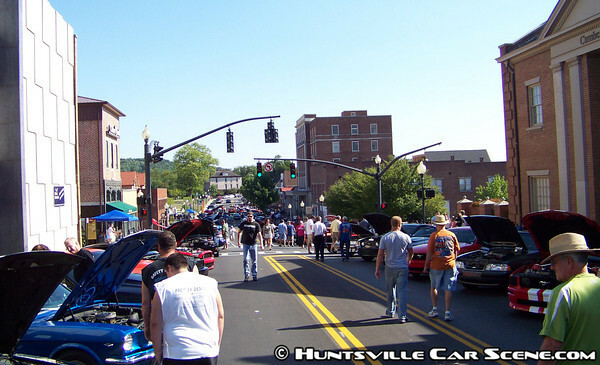 A car show will typically last from 8:00 am till 3 or 4pm. The registration ends and judging begins at most shows around 12 to 1pm. Door prizes and other giveaways are always an attraction at car shows…….in fact a few of the larger show across the country give away an engine, a $5000 tool chest, or even a nice used car to help attract more folks. Another great bonus to these events is that many shows are now charity events where most if not all of your entry fee is given to a local charity for a very worthy cause. Car show season is in full swing now that the weather is finally turning warmer, so now you have no excuse not to know the differences in car shows and cruise-ins. The only question is now…….which one are you going to attend and when?? Good article Joe. I have also had a few people at shows ask me the same question. There was one guy who thought a Cruise-in was an event consisting of hot rodders driving around and around a parking lot looking for a race. Glad he asked. One other difference in the two events, I have noticed the shows sometimes attract those who are almost rabid about winning a trophy. Takes all kinds I suppose, but to me both are all about being there around other car people. I especially enjoy the young (kids) car people who like to get inside my old truck and check out the rubber rats up close. Fun times! Thanks.............Yes, its a good way to fill the gap of old and young car enthusiast! We have to make sure this younger generation learns how to carry on the tradition! There was one guy who thought a Cruise-in was an event consisting of hot rodders driving around and around a parking lot looking for a race. Sign me up for this. I'd give anything to go back in time if it really did used to be like the movie American Graffiti. That is one thing I do like about being my age. But, the way some cars run right off the showroom floor now most of us would have stayed in lots of trouble if we had them then. Where is everybody going this weekend??? The cruise in at Advanced Auto tonight, dyno day at Track Masters Saturday morning and more then likely Cafe 302 that evening. Last edited by EvilZ; April 11th at 03:13 PM. Thoroughly enjoyed the Beaters, Bands and Burritos Knuckleheads show in Madison Saturday. Lots of Rats, Old Skool Hotrods, Customs, restorations, resto-mods, anything pre '68. Not to mention the fun and (as the day went on) sometimes rowdy crowd. Nothing bad, just considerable tire smoke in the area. Don't know how it got there. Good to hear that!! Any other favs? ?